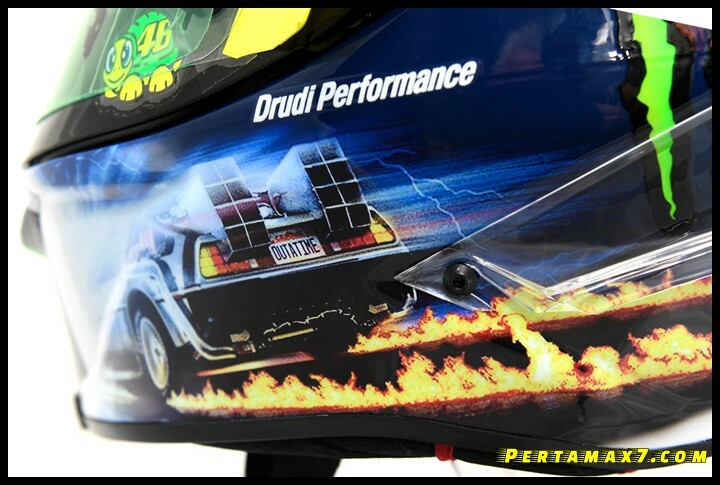 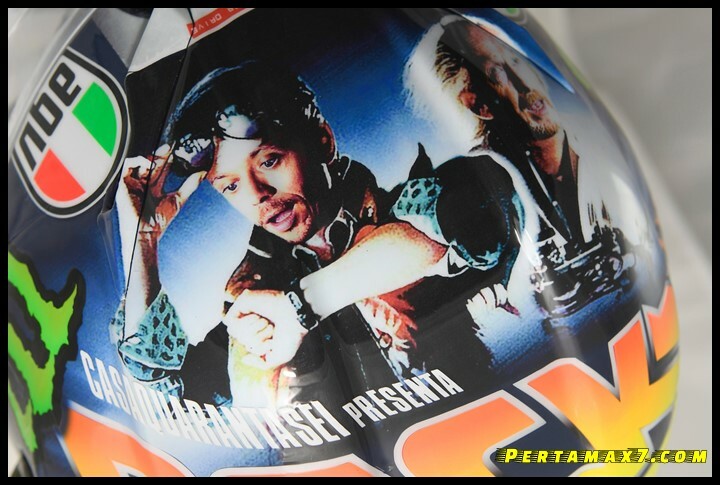 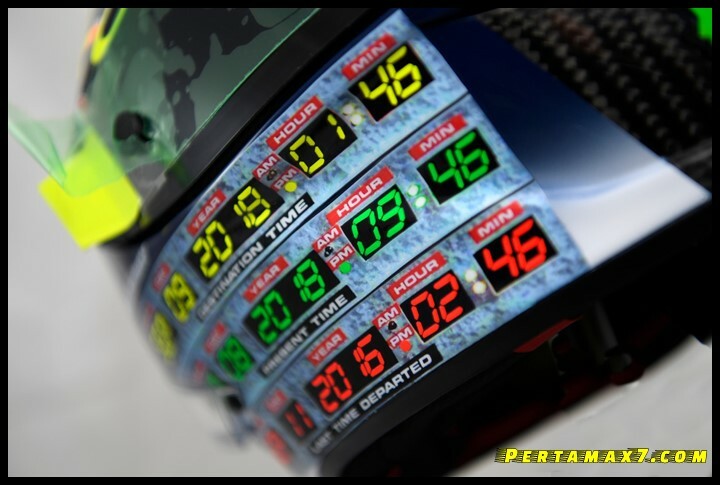 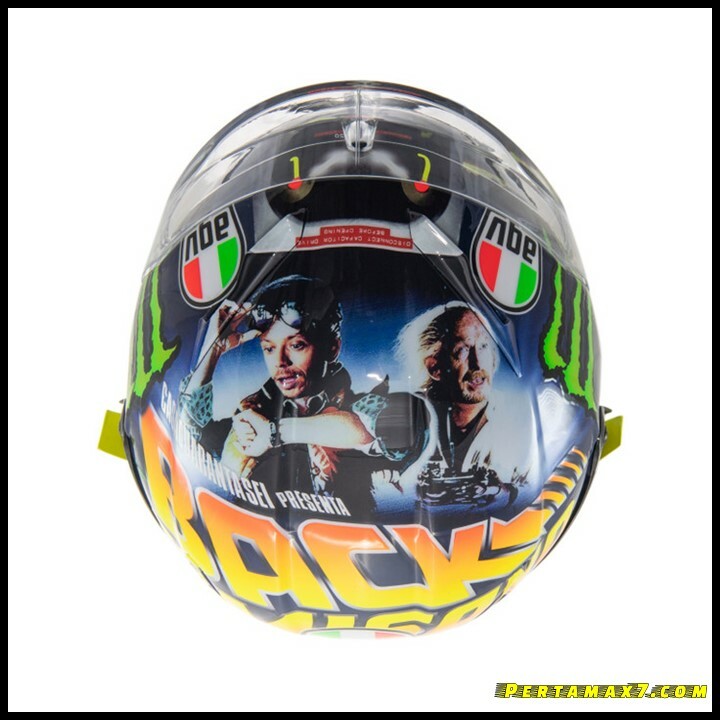 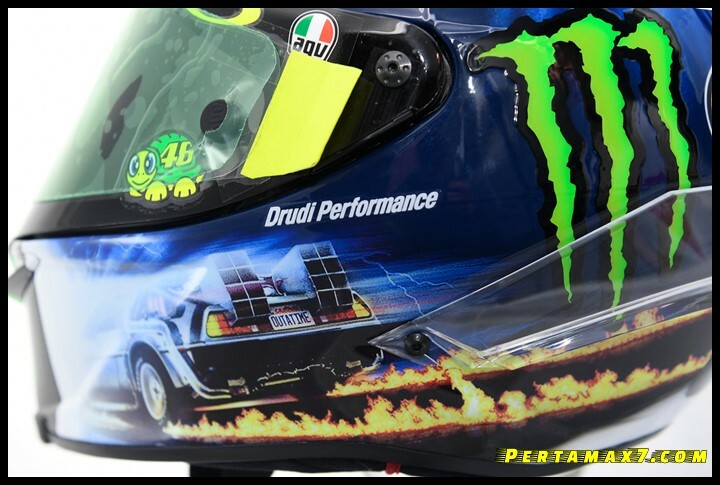 Film legendaris Back to the Future menjadi inspirasi Valentino Rossi dan Drudi Performance yang tertuang dalam Helm AGV Pista GP R Special MotoGP Misano 2018, mantap jiwa. 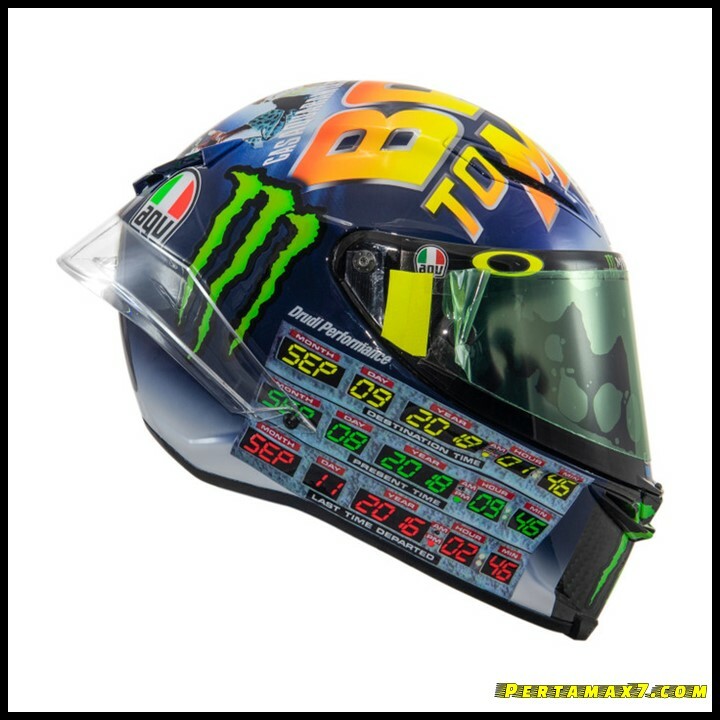 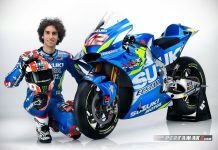 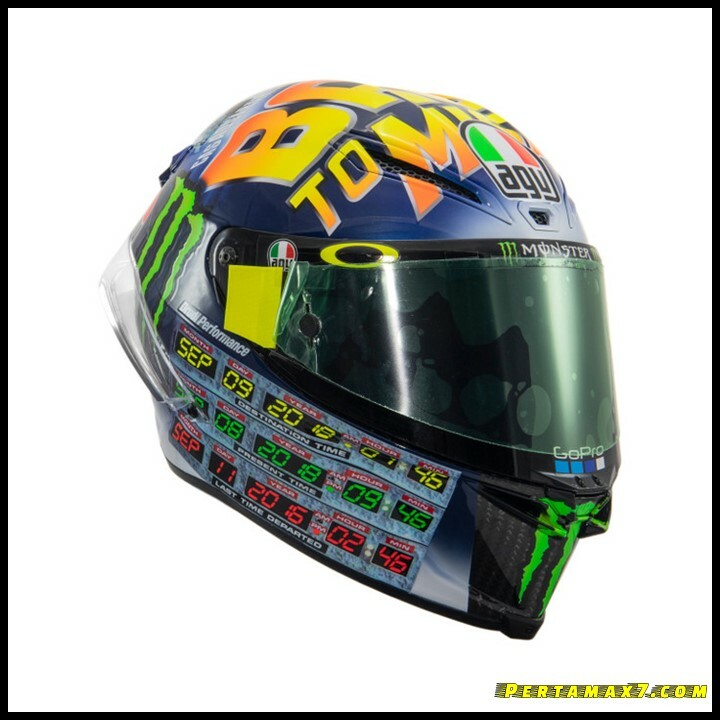 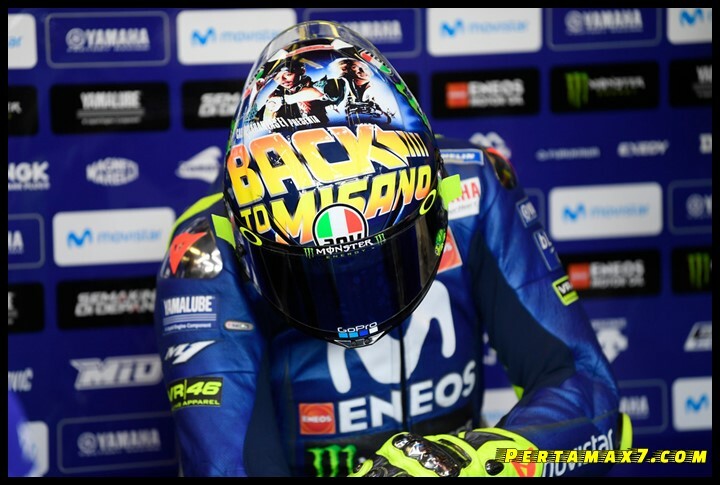 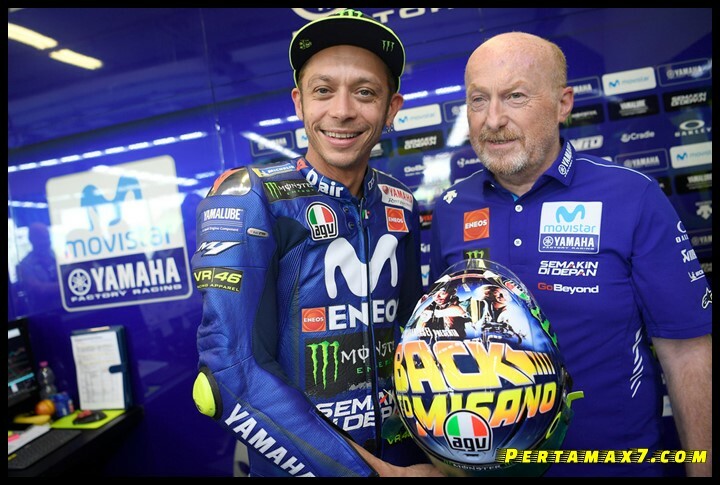 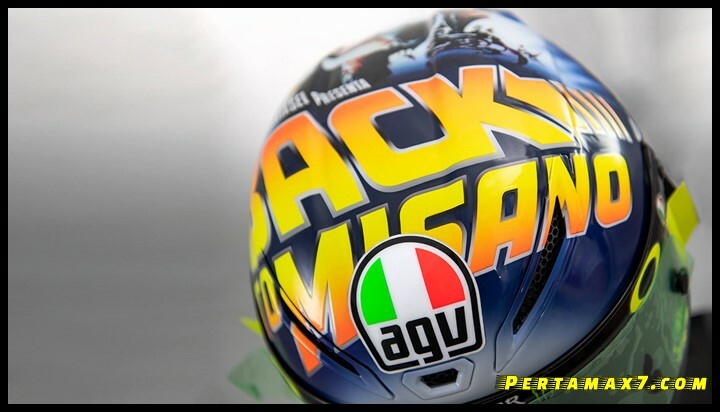 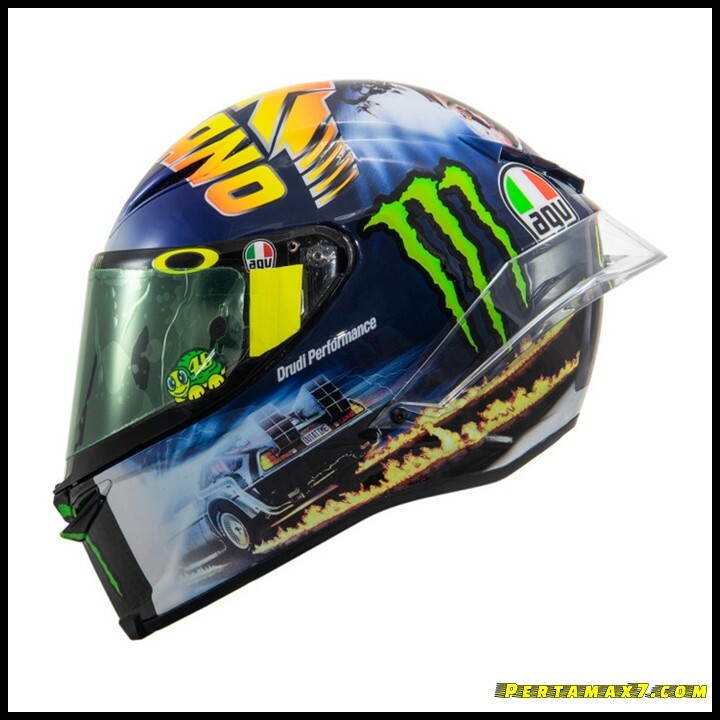 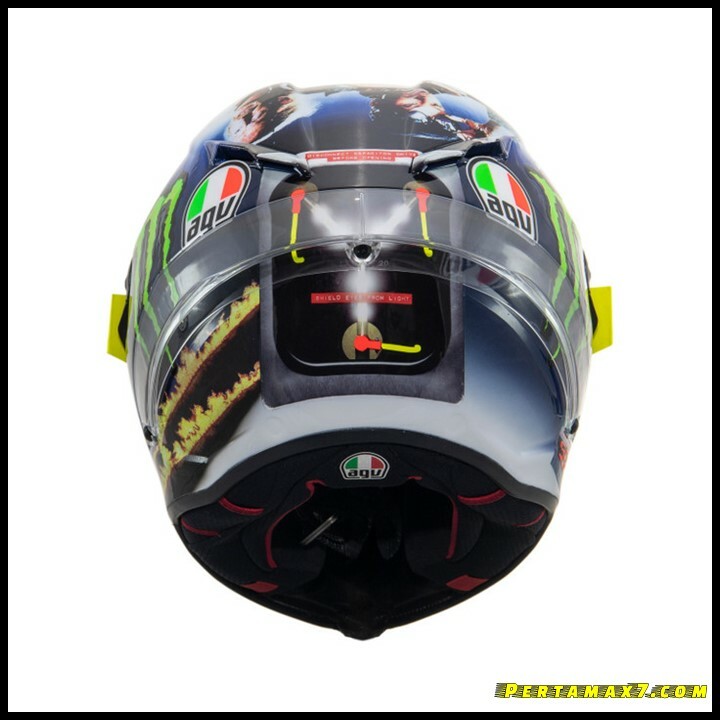 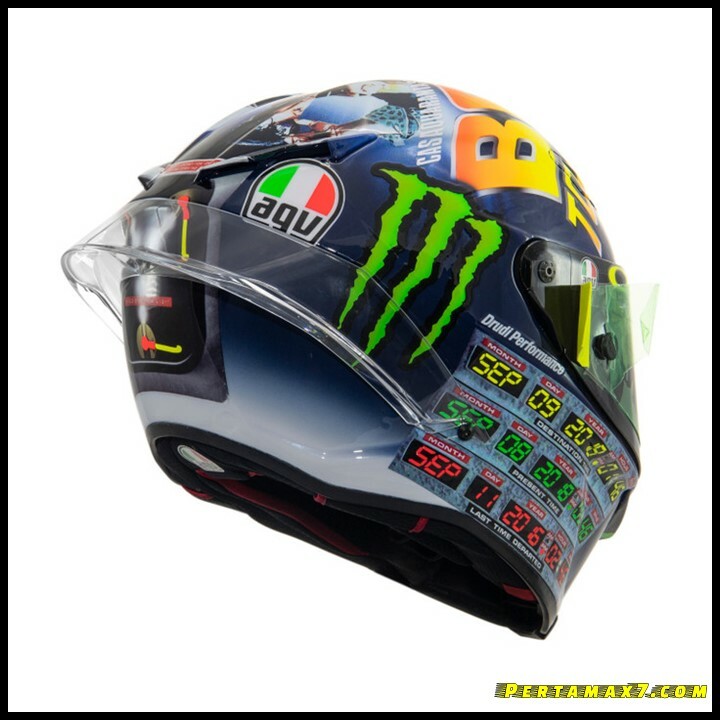 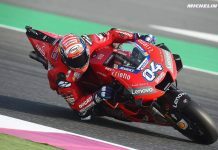 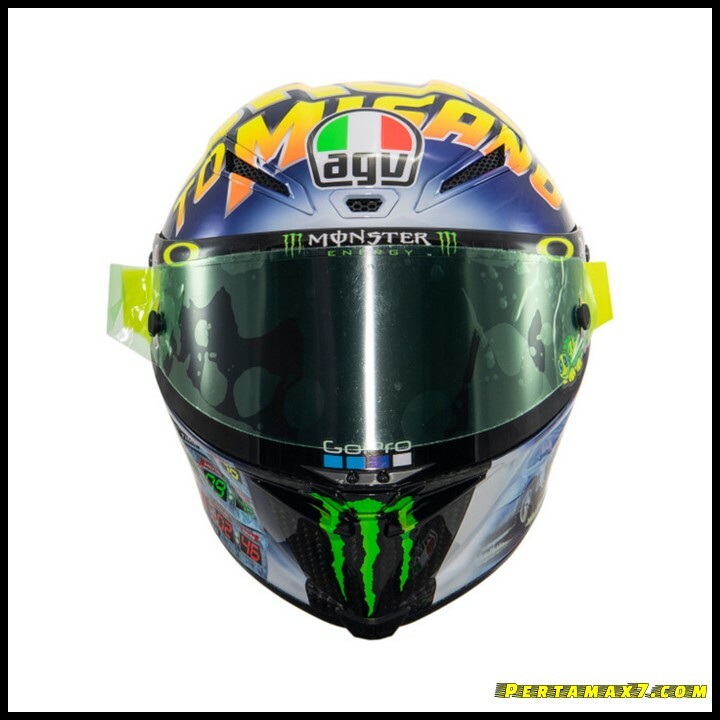 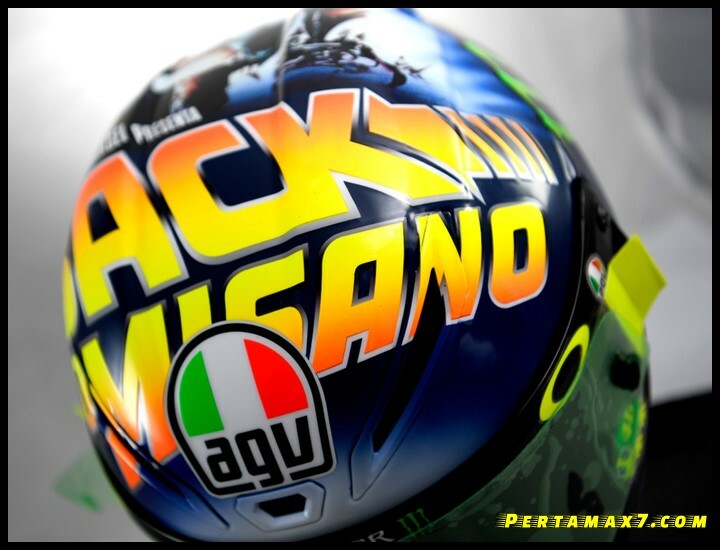 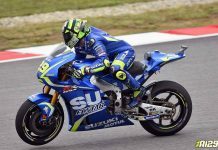 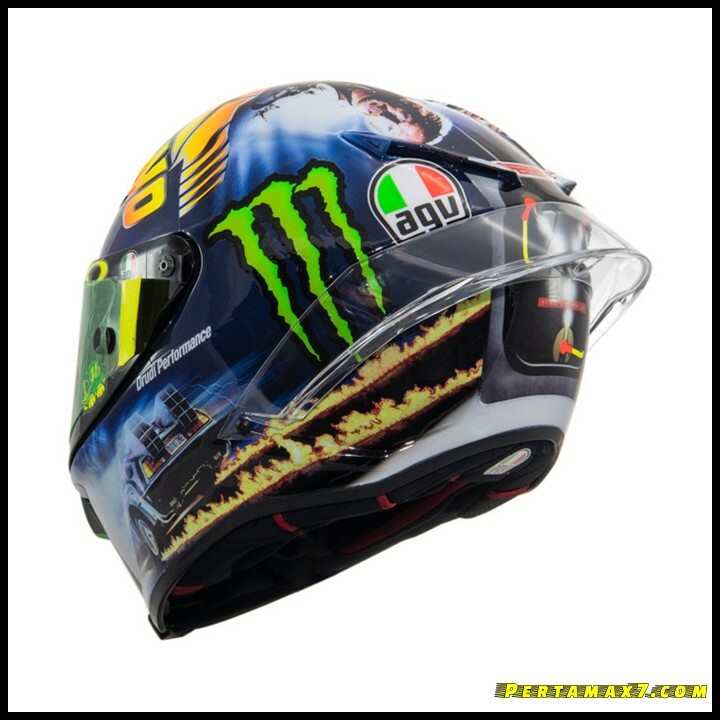 Corak Back to Misano Nampak tegas tercetak di tempurung helm valentino Rossi edisi special MotoGP San Marino 2018. 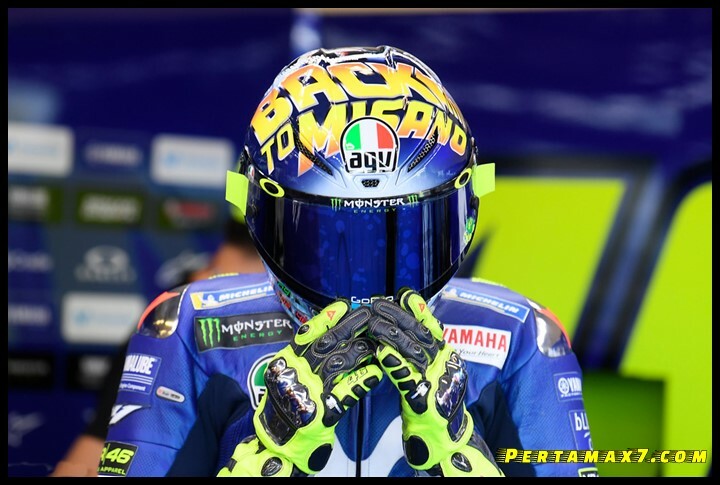 Saturday, September 8th, 2018. 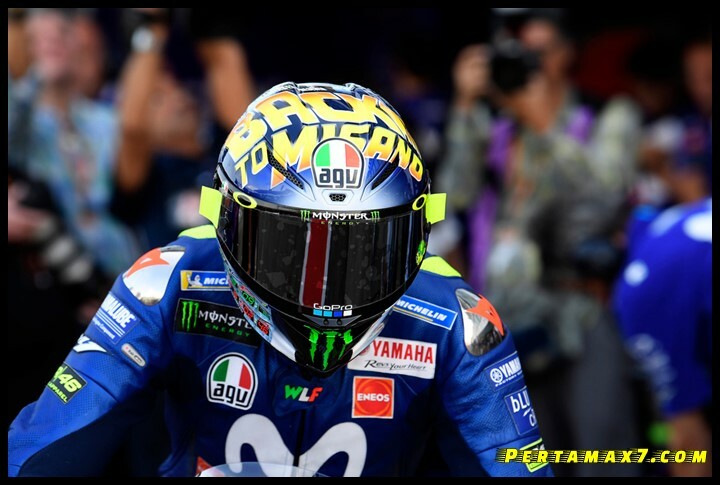 Be the first to discover the new special liveries for Valentino Rossi and others AGV Athletes for the GP di San Marino e della Riviera di Rimini, emblazoned on the AGV Pista GP R, the flagship model of the AGV racing range.